Does the front entryway of your home need a little extra gusto? Add a portico and increase your home's curb appeal. 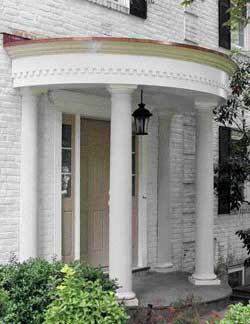 A portico is a porch or entrance to a building with a roof often supported by columns. 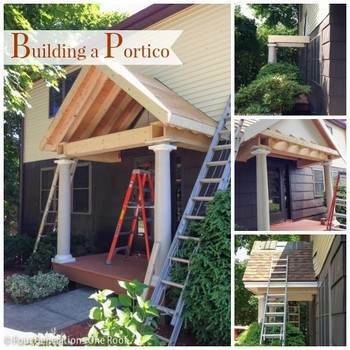 Be sure to check if your area requires a building permit before tackling a portico. This plan is for a portico with a pitched roof and two stately columns plus vinyl low-maintenance flooring. 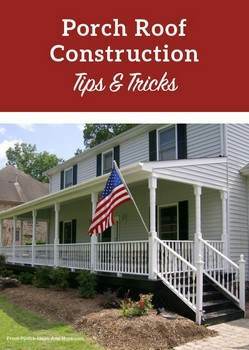 Here you will find information regarding building a porch roof such as choosing the best choice of style for your home. This semicircular portico is build upon an existing porch, is supported by two wooden columns and trimmed in crown molding. 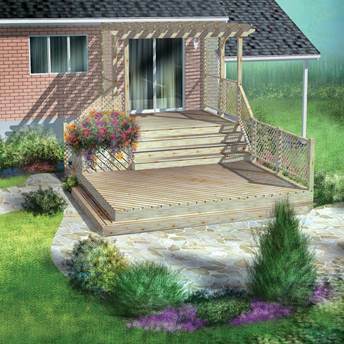 This plan is for building a two-level backyard deck where the upper level is covered by a pergola with added planters.